While only one Lockheed XC-35 was ever made, its significance in the evolution of aviation is undeniably transformational. Some experts have listed it is one of the ten most world-changing airplanes in history. The XC-35 aircraft was the first American plane to be specifically designed and constructed with a pressurized cabin. Utilized specifically for pressurization research, it paved the way for tremendous innovation in military and commercial aviation. During its first year of experimental flights in 1937, the project team received the Collier Award for the most significant advancement in aviation. The XC-35 was designed in 1935 by two aviation experts at the United States Air Corps Engineering Division at Wright Field in Dayton, Ohio (now Wright Patterson Air Force Base). 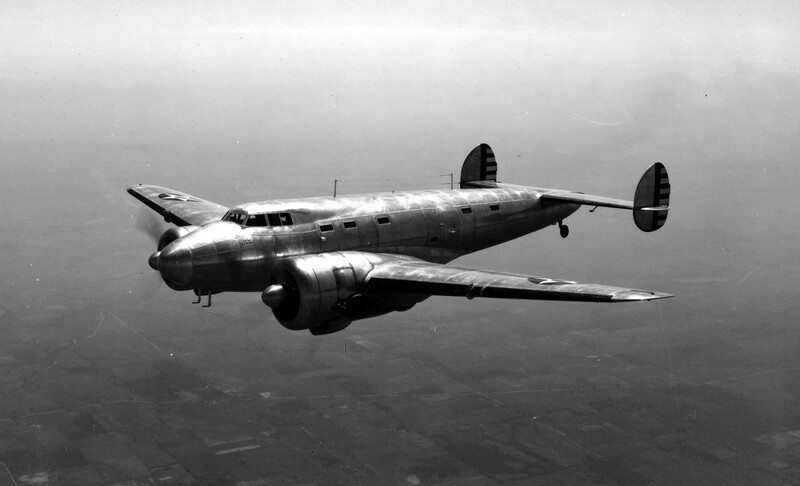 The military commissioned Lockheed to build the plane, which was delivered to Dayton in 1937. The XC-35 was principally a modified Lockheed Electra Model 10-A (if the Electra sounds familiar, it may be because Amelia Earhart flew an Electra 10-E). For the XC-35, the Electra’s fuselage was rounded off to lessen the stress of pressurization and distribute it equally. The windows were replaced with smaller slit versions using DuPont’s new taping strips to make them air tight. Amusingly, several conspiracy theorists have claimed that Amelia Earhart was flying the XC-35 when she disappeared. While it sounds intriguing, after it was retired, the one and only XC-35 plane was preserved and now is in storage at the Smithsonian Institution’s National Air and Space Museum.